The School of Service | Welcome to Prints on Purpose! Welcome to Prints on Purpose! I have several relatives like this, and they are wonderful people. That said, I worry sometimes about whether they are getting totally stressed out by taking such good care of everyone else. Are their own needs getting sidestepped in favor of everyone else’s? On the flip side of the coin, do you know someone who demands that everyone else cater to them? There are folks who exude an air of entitlement, who take and take without appreciating (or even seeming to realize) the efforts others are making on their behalf. The dinner menu, the television remote, and division of the household chores are all under this person’s control. These two kinds of behaviors embody the extremes of the School of Service. 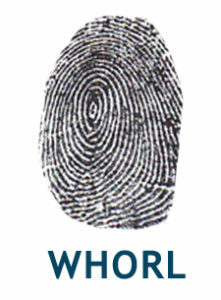 If you have four whorls in your ten fingerprints, this is your school. The goal of students in the School of Service is to be conscious of the ways in which they want to serve. It is an ability and a willingness to discern and choose genuine, joyful service, without falling into servitude (which breeds resentment and burnout). Any of these scenarios can result in a pendulum swing to the ‘other side’—swearing off being of service because you are tired of others taking advantage of you. You adopt the entitlement posture. How about you? Do you fall into either of these camps? Whether or not you are in the School of Service, it’s helpful to notice your own service-related behaviors and attitudes! This entry was posted in Hand Analysis and tagged Decode, Life School, School of Service, Soul Psychology on June 29, 2016 by Donna Mills. Use this workbook to explore some life purpose questions for yourself!